When Fate tosses you in the deep end, it’s time to sink or swim. Lydia Henson’s four-year-long engagement to Jason Montgomery is about to end in a Texas wedding everyone is anticipating. She’s come to accept Jason doesn’t want children. She can live without children. She can’t live without the man she loves. Jason has never wanted a family. At least, that’s his story and he’s sticking to it. The falsehood is less emasculating than the truth. Yet when tragedy on the eve of their wedding lands Lydia with her sister’s children to raise, Jason finds himself surprisingly calm in the midst of the chaos. Everything he swore he didn’t want seems as natural as breathing. But just as he gathers the courage to grab for the golden ring, another unexpected twist threatens to tarnish what could have been a shining future. Warning: Sticky fingers and dirty diapers can change a couple forever. This was such a cute book! 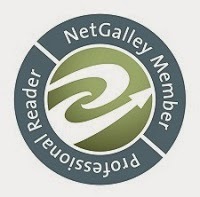 I did have a little difficulty in the beginning because I hadn't read the previous books, but once I had figured out who everyone was, I flew through the rest. I definitely had many emotional ups and downs going through the story with the characters. I wanted to cry and then a few minutes later, I was laughing. The characters were definitely my favorite part of the story. Patient Lydia and sweet, stubborn Jason paired with some funny and cute kids made for a nice mix. I do think the conflicts in the book might have been drug out a little, but I always get frustrated at books when the problems could be solved by a little communication. Overall, I enjoyed this book and might look into the others from the series. Cynthia D’Alba was born and raised in a small Arkansas town. Today she lives in a vine-covered cottage on the banks of an eight-thousand-acre lake. When she’s not reading or writing or plotting, she’s doorman for her two dogs, cook, housekeeper and chief bottle washer for her husband, and slave to a noisy messy parrot. She loves to chat online with friends and fans. 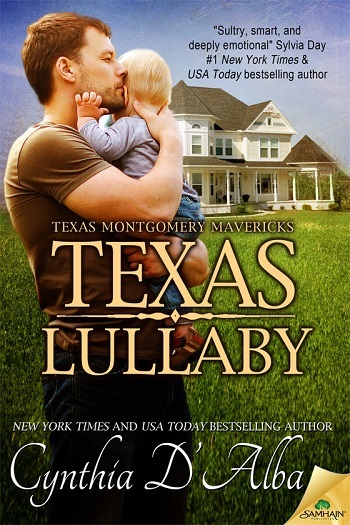 Reviewers on the Wicked Reads Review Team were provided a free copy of Texas Lullaby (Texas Montgomery Mavericks #7) by Cynthia D'Alba to read and review.